Berlin, June 1 2016 — Sharing is caring, they say, but that’s a motto that quickly goes out the window when faced with a plate of your favourite grub. Be it a perfectly-seared wasabi salmon-steak, a juicy double cheeseburger topped with avo and caramelized onions, or a superfood salad with chia and pomegranate seeds, those eats are all for you. That said, you don’t need to feel guilty about keeping your favourite dish all to yourself: it’s now easier than ever to also treat your friends to their favourite foods, perhaps by using a program like foodora’s Refer a Friend. This program, from the food delivery specialist that partners with top-quality restaurants in over 33 cities worldwide, allows you to invite your friends to try foodora, gifting them a voucher in the process. For each one who orders, you get a voucher, too. So now, whether you’re eating alone or with your best buds, it’s easier than ever to share great food. That said, there are still some pros and cons of eating solo vs. with others. We’ve laid them out below. 1. LET’S BE SELFISH. Eating alone means you get to order exactly what you want, when you want it. Feeling pizza tonight? Do it. Chicken Tikka Masala? No problem. You don’t need to compromise to accommodate anyone else’s taste. 2. IT’S ALL ABOUT THE FOOD. We all love great food, but exceptional food deserves our attention. When you eat alone, there’s nothing to distract you from savouring the brilliant flavours — smoky chorizo, fresh cilantro, a squirt of lime — delighting your palate. 3. A LITTLE “ME” TIME. Dining solo is a great way to escape the daily rush and remind yourself that even when you’re alone, you’re worthy of a truly mouth-watering meal. You could even order your favourite childhood dish and de-stress in the tastiest way out there. 1. SHARING IS CARING. 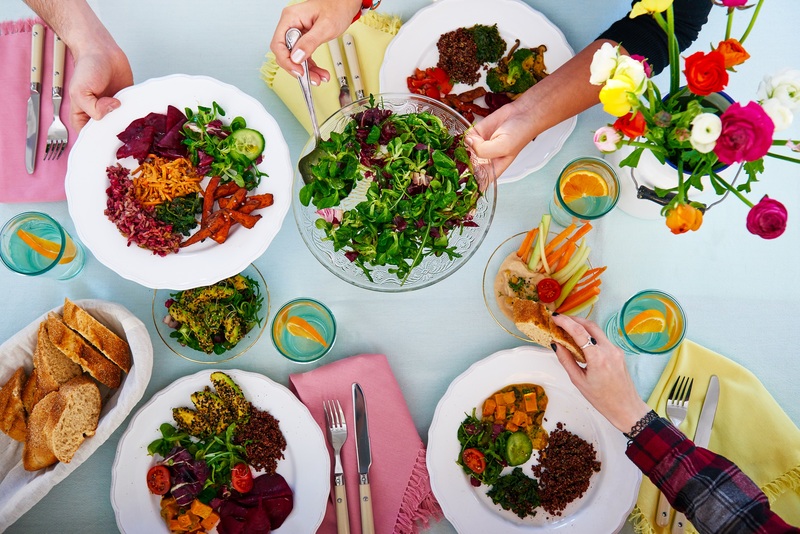 Everyone tends to relax and open up when sharing delicious food, which is why dining with others can be a great way to deepen friendships, connect to colleagues, or even get closer to a romantic interest. 2. THE MORE THE MERRIER. You try your friend’s sushi, they try your udon, and everyone wins. The more mouths come to the table, the more food should arrive, as well, and that means more variety, more flavour, and more fun. 3. DON’T TALK WITH YOUR MOUTH FULL. Remember to slow down and talk with your friends as you eat with them! A lively, interesting conversation is perhaps the perfect complement to a delicious meal. Of course whether you’re eating alone or in a group, it’s most important that the food be delicious. So why not browse top restaurants near you today, and treat yourself, or team up with friends, to enjoy a tasty meal? Through the foodora website or via the new iOS and Android apps, customers can enter their area and view a curated list of restaurants serving their neighborhood. Once they have found their meal of choice, they can place an order in the comfort of their home or office, paying online through foodora’s secure platform. The order is then carefully prepared by the restaurant, picked up by the foodora rider and delivered straight to their doorstep in around 30 minutes. You could also pick your order up from your favorite restaurant on your way with our pick-up feature, the choice is yours! From bikes to phones, bringing good food into your everyday means being mobile-first.